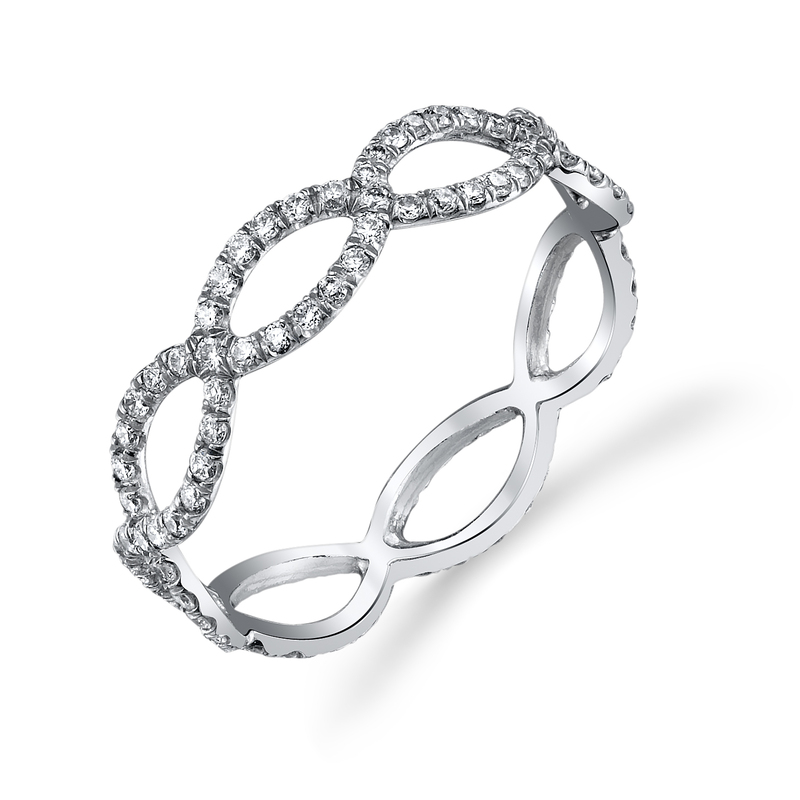 Delicate platinum and diamond infinity motif eternity ring containing one-third-carat of hand-set round brilliant-cut diamonds. Please note that price and carat weight are for this stock band in size 7. Please contact our concierge for pricing and carat weight in other sizes.